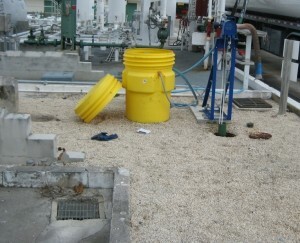 Sometimes there are situations where your oil skimmer will collect water. If you are running your skimmer 24/7 and the tank or pit runs out of oil, your skimmer will pick up whatever is remaing in the tank, and most of the time that will be water or coolant. There is a way to prevent this and that is by utilizing an oil water sperator/concentrator in conjuction with your oil skimmer. The oil water conentrator attaches to the skimmer and helps in further separating the water/coolant from your oil. This unit is placed on the back of the skimmer. The skimmed material is drained into the concentrator and then it separates the water from oil. You can then drain the water back into the tank or well through one hose, and the oil drains from another. 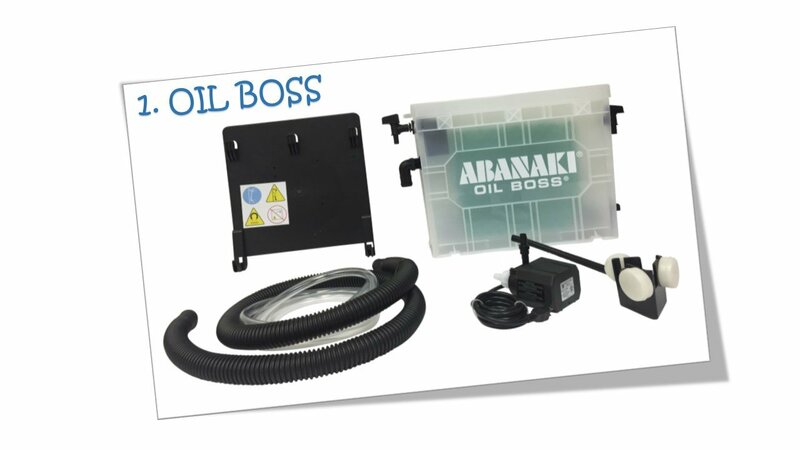 So, next time you’re wondering how to increase the efficiency of your oil skimmer, take a look at the oil water concentrator to help solve your dilemma. forced out through their respective discharge tubes and ports. This oil water separator is non-electrical and contains no moving parts — it simply receives liquid directly from the skimmer. Based on the principle of gravity separation, the Oil Concentrator tank comes in three sizes so that there is adequate dwell time for the oil and water to separate. Water discharge is through a tube that has an open end near the bottom of the Concentrator, while oil flow is through a separate drain port near the top. As additional liquid enters the Concentrator, water and oil are forced out through their respective disposal tubes. 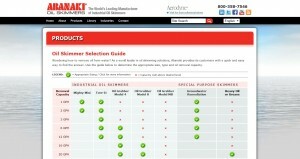 Abanaki's New Oil Skimmer Selection Guide - Skimmer Selection Made Easy! 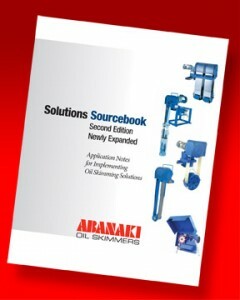 Recently, Abanaki launched its new, interactive oil skimmer selection guide. 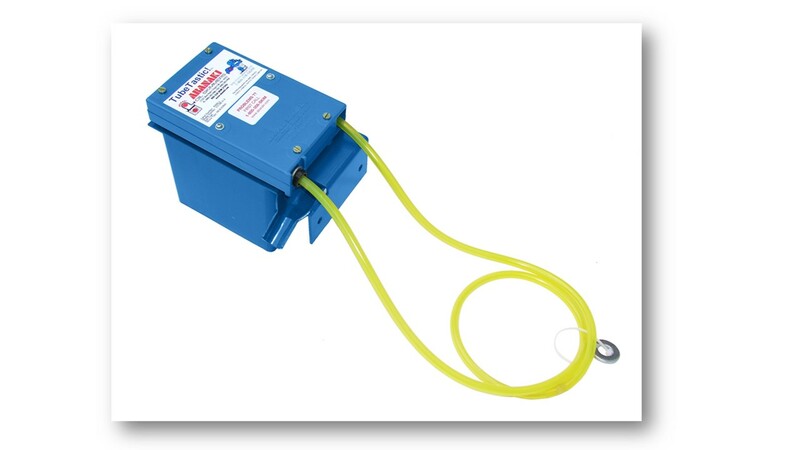 The newly designed guide provides a quick and easy way to match the appropriate skimmer for a wide variety of applications. 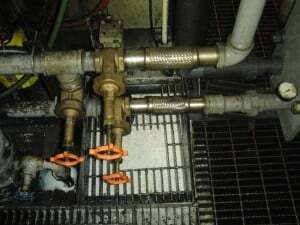 The grid layout quickly will determine the appropriate size, belt material and oil removal capacity, with quick links that connect to more detailed performance specifications. 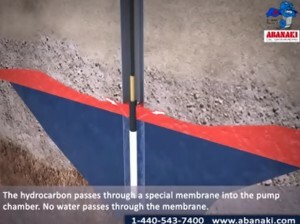 Abanaki has just released an animated demo for a product from the groundwater remediation equipment line. The video demonstrates the PetroXtractor Active Membrane Skimmer, which is a pneumatic active skimmer pump that is entirely automatic and is designed to recover light non aqueous phase liquids (LNAPL) from underground water at depths of up to 130 feet. 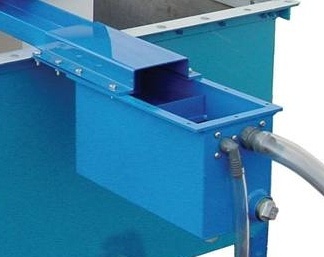 Choosing an oil skimmer best suited for your application will maximize oil removal while minimizing capital outlay and oil skimming operation costs. 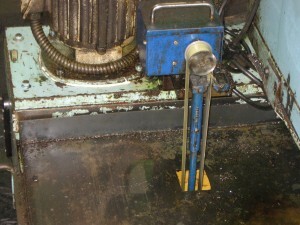 The first step in choosing an oil skimmer is to define the operating conditions in which the skimmer will be operating. 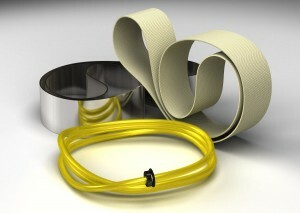 All oil skimmers have a moving medium, and possibly other parts, immersed in the liquid. The performance and life of the pick-up medium, wiper blades, pulleys, etc. are affected by different conditions. These conditions include temperatures in and out of the liquid, pH of the solution, and the presence of solvents or other reactive chemicals.